Welcome to Savannah Woods! This mature community features large, wooded lots with a minimum of 1.6 acres. Fine dining, excellent shopping, access to historic downtown Newnan and convenient access to I-85 is all within minutes. 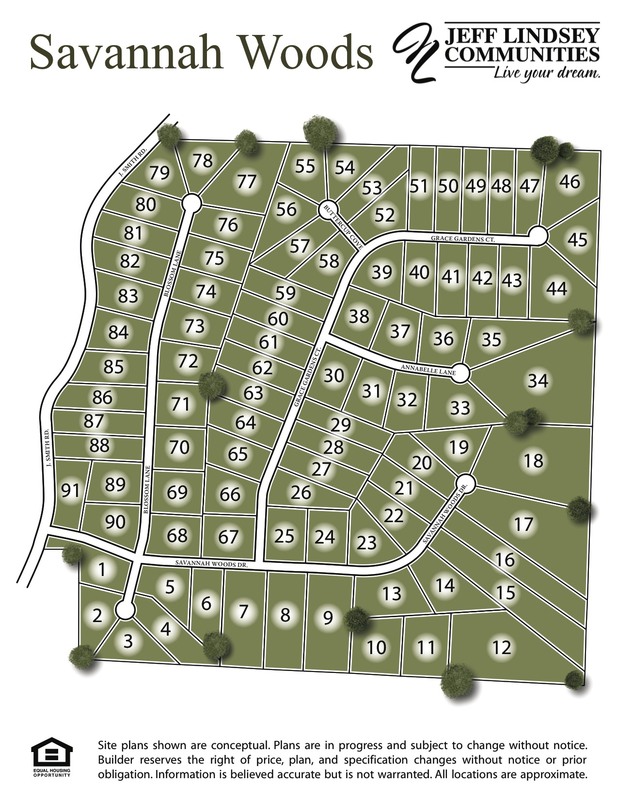 With 13 lots available, call today to reserve a lot for your future dream home! From I-85: Take Exit 47 and turn Right onto HWY 34 – Bullsboro Road. Turn Right on the Newnan By-pass/HWY34 By-pass. Stay straight for approximately 3 miles and turn Right onto HWY 70 – Roscoe Road. At the 4-way stop, stay straight. Turn Right onto Gibson Road. Stay straight through the stop sign and Savannah Woods is on the Right.